It is rare for me to sing the praises of any poker training book. Almost every one I’ve read has failed to provide enough depth and detail to adequately address the nuances and complexities of poker. Matt Janda’s Applications of No-Limit Hold ‘em is an exception. Janda’s book is perfect for players with an understanding of poker looking to improve their theoretical game. Playing in a game theory optimal (GTO) fashion will be especially helpful in higher stakes games against tough competition, as Janda formulates strategies that will work against theoretically optimal opponents. 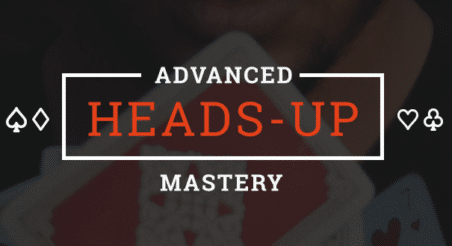 This is not to say that players who are new to poker or the Upswing Poker Lab will not benefit from reading it. It is simply that at lower stakes, taking exploitative lines will usually be more profitable. Having a solid understanding of all these ideas is vital for any player trying to take a theoretically sound approach to poker. Let’s get started with a simple concept most of our readers already know: calculating pot odds. The very first chapter in Janda’s book is about calculating pot odds, and for good reason! It’s impossible to take a theoretically sound approach to No Limit Hold’em without knowing how to work with pot odds. If you’ve ever seen a video of me playing, you know how regularly I use these calculations to inform my decisions (pretty much every hand). Villain bets half pot on the river putting us to a decision with middle pair. Let’s go back to that formula and plug the numbers in. That comes out to 0.25, or 25% expressed as a percentage. In order for calling 98s on the river to be profitable, we need to be ahead at least 25% of the time. This is where range software like Poker Equilab comes into play, which is used to estimate Villain’s range and calculate our hand’s equity against that range (see: Q3 of this article for further explanation on using range software). Using the same method, we can also work out the frequency at which our bluffs must get through to show a profit. That’s 50% expressed as a percentage, meaning our bluff must get through half of the time to show a profit. Calculating pot odds will make difficult decisions much clearer at the table and with a little practice, anyone can become a whiz at them in no time. Another important idea addressed in Applications is the relationship between the equity of a hand and its play-ability and profitability. It is crucial to realize that one hand is not simply ‘better’ than another because it has more equity. Sometimes, a hand with less ‘raw’ equity may actually be preferable. A9o will frequently be behind the many stronger Ax combos in our opponent’s value range and will have few outs to improve to a strong hand by the river. A9o will likely be behind villain’s calling range over three streets, meaning that it only fares well against our opponent’s check-folding range. 98s has more ways of making a strong hand by the river. Though 98s will often be behind our opponent’s value-betting range on the flop, it can easily draw to flushes and straights. Also, if we flop a pair, 98s’ five pair outs are much cleaner than those of A9o. Because of this, you can also use such hands as semi-bluffs (as pre-flop 3-bets or flop raises) that will still play well against your opponent if called. This next concept from Janda’s book is much more complex and only some of the best players execute it perfectly. One of the main focuses in Applications is the construction of balanced ranges paired with balanced bet sizes. A balanced range is one that contains the correct ratio of value hands to bluffs in order to make your opponent’s actions indifferent. The first step is to consider the pot odds Villain is being laid. In this case, he has to call $80 to win a total pot of $240, which comes out to 0.33, or 33% expressed as a percentage. For this to be a winning call, Villain’s hand must be good at least one-third of the time. So, in order to make Villain indifferent to calling this river bet, we must balance our range with two value bets for every one bluff. Confused? Let me explain further. Imagine Villain has a marginal hand like A8 here, which loses to all of our value bets, but beats all of our bluffs. If Villain calls against our perfectly balanced range, we’ll show down a bluff 33% of the time and a value bet the other 66% of the time. Villain can not exploit us by over-folding or over-calling his marginal hands. Keeping our ranges balanced is very important against strong exploitative opponents, as doing so will make our strategy very difficult to exploit. The concepts of card removal and blocking are also dealt with by Janda. 6-Max UTG opening range from the free Upswing Preflop Charts. The tiny number at the bottom of each square is the number of pre-flop combinations of that hand in the red highlighted range. There are 9 possible combinations of each offsuit Kx on the flop. That’s 27 total combinations of offsuit top pairs between AKo, KQo and KJo. There are just 3 possible combinations of each suited Kx on this flop. That’s 12 total combinations of suited top pairs between AKs, KQs, KJs and KTs. That comes out to 39 total combinations of top pair in Villain’s range. There are now just 6 possible combinations of each offsuit Kx on the flop. That’s 18 total combinations of offsuit top pairs. The number of possible combinations of each suited Kx hand drops to 2. That’s a total of just 8 combinations of suited top pairs. With 2 Kings dead, Villain has 26 total combinations of top pair on this flop. That’s 33% fewer combos of top pair in his range when we have a King ourselves. However, removal effects are often most useful when considering which hands to bluff with on the river. Ranges are narrower on the river than they are on the flop, meaning that blocking your opponent’s potential value hands has more significance. Let’s say we bet pot on the river, meaning our opponent has to call 50% of the time to prevent us from exploiting him. Villain reaches the river with 80 hand combinations and thus should be check-calling with 40 of them. If we choose to bluff the river with a hand that blocks 6 of Villain’s check-calling combinations, that lowers his calling frequency to just 45.9% of the time. This means that we will win the pot 4.1% more frequently thanks to having carefully selected bluffs with removal effects. Knowing which hands block Villain’s most likely calling hands is a crucial aspect of bluffing efficiently, particularly on the river. It will always be impossible for any human being to play a perfect GTO strategy. Even so, an in-depth understanding of game theory is a crucial asset for any poker player aspiring to move up and play the highest stakes. I would say it is definitely worth investing in Janda’s Applications of No-Limit Hold ‘em to gain a better understanding of the theoretical side of poker. Because most of the ideas in the book are underpinned by fundamental mathematics and game theory, readers will learn a timeless strategy that is tough to play against and even tougher to exploit. Whether you read it from cover to cover or use it as a reference for theoretical poker concepts, Janda’s work is the most definitive and useful poker training book around.